Yep, that's right....I'm doubling up on this lovely Friday. 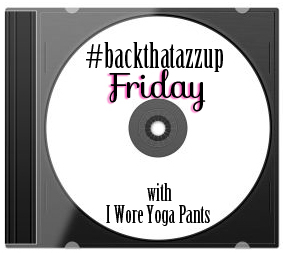 Here's my HIGH FIVE FOR FRIDAY & BACK THAT AZZ UP FRIDAY pics! 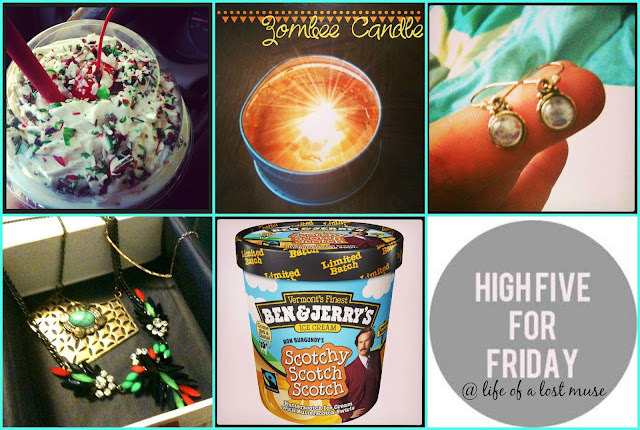 Sonic's Vanilla Holiday Mint Shake (I could live on these, I love them so much)/Zombee Candle (best smelling candles in all the land)/My New Moonstone Earrings (when I hear 'moonstone' I automatically think of The Vampire Diaries)/My 4th Rocksbox (Get $10 Off Your First Box! )/Ben & Jerry's Scotchy Scotch Scotch (I finally found it and it is so stinkin' good!